Driving stoned or under the influence of marijuana (DUID) in Colorado is illegal – just as driving under the influence of alcohol (DUI) is against the law. And while authorities across the state are focused on arresting all impaired drivers, the latest findings about DUID arrest rates in Colorado seem to indicate a promising trend – namely that fewer drivers may be getting behind the wheel when impaired by marijuana. In fact, according to Colorado State Patrol (CSP) records, in 2015, state troopers issued roughly 4,550 citations for driving under the influence of drugs (DUID) or alcohol; only 350 of those citations reportedly involved marijuana impairment, representing a slight drop when compared to the pot-related DUI arrests CSP officers made in 2014. In 2014, CSP troopers issued nearly 5,550 citations for DUID; of those, 674 (or 12%) involved marijuana, with only 354 (or 6.5%) of these believed to be marijuana-only offenses. In 2013, there were 103 fatalities involving motorists impaired by drugs; of the total 288 drivers testing positive for drugs, only 36 had marijuana in their systems. About 51% of those issued citations for DUID didn’t think they’d receive a citation for the offense (i.e., were not aware that driving under the influence of pot/drugs is illegal). 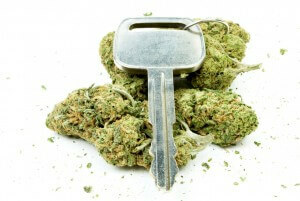 55% of those motorists reportedly drove within two hours of using marijuana. CSP doesn’t track the results of blood tests administered to motorists suspected of marijuana impairment – This can create a discrepancy blood levels found in drivers or how many were convicted of DUID offences. Unlike CSP, local law enforcement agencies have not been tracking pot- or drug-related DUI arrests. There are not currently separate charges for alcohol DUIs versus pot DUIs in Colorado – This essentially means that is currently very challenging for authorities to track the outcomes of DUI cases involving allegations of marijuana (or other drug) impairment (versus those only related to alcohol impairment). Clearly, Colorado authorities seem to have some more work to do when it comes to tracking pot DUI arrests, cases and convictions. Despite the data tracking challenges that may currently exist, however, one thing is certain – officials are NOT backing down from arresting any driver they suspect to be impaired. Arrested for DUI or DUID in Colorado? Contact a Colorado Springs DUI Lawyer at Shimon Kohn, P.C. If you or a loved one has been accused of drunk or stoned driving in Colorado, contact a Colorado Springs DUI lawyer at Shimon Kohn, P.C. to get experienced help protecting your rights and bringing your case to a successful resolution. You can contact us by calling (719) 328-9555 or by emailing us using the contact form at the top of this page. From our offices based in Colorado Springs, we provide aggressive legal advocacy to clients throughout the Pikes Peak region and Colorado.